Some veterinarians work relief as a career choice. For others, relief work is a means to test the cultures of various practices to find one that fits their style and career aspirations. Does anyone remember the McDonald’s advertising slogan “You deserve a break today”? The jingle frequently dances through my head as I think about my career as a relief veterinarian. The veterinary relief, or locum, niche is becoming ever more important in our profession. The need for this business-to-business service is growing along with the exploding pet population. 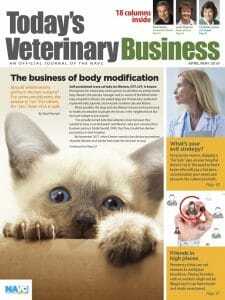 Practice owners and associates are being stretched thin as they serve ever more clients and pets. With this added demand on veterinarians, there is a greater justification to share the workload, allowing time for recuperation from job stresses. When I was an associate at a multidoctor practice, we would take turns for time off. While we were excited for our own time away, colleagues’ vacations meant extra work for those left behind since the same number of cases would get divvied among fewer vets. To release added stress, funny pranks were often played on the returning vacationer. This goes on for several more stanzas, but you get the gist. That type of vacation coverage strategy creates a cycle of burnout and resentment as associates feel overworked or guilty for having taken time off. Patient care and client satisfaction also suffer under these circumstances. Hiring relief vets to mind the practice while owners or associates take hard-earned vacation, personal days, sick days, maternity or paternity leave, or a sabbatical is a wise investment in the health and well-being of the business. Relief vets are well worth the cost as they help maintain workflow and keep clients happy, pets cared for and the staff sane. Like bees picking up pollen on one flower and taking it to another, relief vets are conduits of knowledge exchange. Working across multiple practices of varying sizes and styles, relief vets pick up a range of case-management approaches, treatment tips, communication strategies and organizational techniques. This information is absorbed and then passed along, adopted or repurposed to the benefit of other clinics. Our practices benefit from sharing the collective knowledge stored in the community of veterinarians, nurses, assistants and receptionists. Since I live in a beautiful coastal town in Florida, we see a large seasonal increase in our population as the snowbirds migrate south for the winter. This creates a lot of extra traffic on our roads and in our practices. Relief vets are perfect for this situation because they don’t have the commitment and associated costs of a full-time vet. Some relief vets are willing to travel or live part time in different parts of the country in pursuit of lifestyle and seasonal work, so your relief vet choices might not be limited to a local pool. Perhaps your clinic is experiencing steady growth but you aren’t sure if the practice is ready to support another full-time veterinarian. Hire a relief vet for a few months to test the viability of another doctor and evaluate any additional staff needs or work-flow modifications required to accommodate the change. Having a pool of local relief vets with whom you are familiar can be helpful if you find yourself with unexpected absences and need to quickly fill shifts. While working relief, I was asked to stay on as a full-time vet. Due to my husband’s work, we had been splitting our time between Florida and Montana. After my husband’s seasonal job came to an end and I knew we’d be staying in Florida for a while, I agreed to sign on as an associate. This turned out to be a win-win. Some veterinarians work relief as a career choice. For others, relief work is a means to test the cultures of various practices to find one that fits their style and career aspirations. These relief practitioners may or may not be forthcoming about their intentions since they want to see the clinic in its day-to-day behavior and not just when it is actively recruiting vets. If you are looking for an associate you may want to “foster” a relief vet to see if an opportunity is present for a “forever” home. Alternatively, relief vets can provide coverage so you can take your time and find the perfect associate. Ready to hire a relief vet? First, get buy-in from the front-office staff. I’ve worked relief at many clinics where the front desk calls the relief vet, well, “the relief vet.” This does not inspire confidence. I’ve also noticed that this also correlates with an emptier appointment schedule. Ideally, the front office is talking up your relief vets, calling them by their name and communicating with the client early and often about the confidence the practice has in the doctor. Call clients ahead of time, remind them about the relief vet when they arrive, and make sure the pairing is seen as a treat rather than a second-best experience. Also crucial to making the day flow smoothly is having at least one senior staff member present who understands the workflow, practice management system, pricing, inventory and diagnostic equipment. 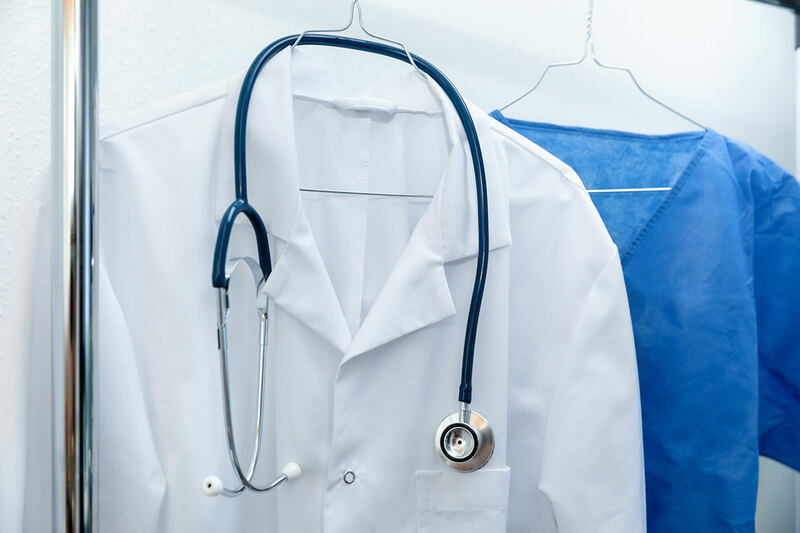 Clear medical records, particularly for follow-up appointments or ongoing cases, are important, not only for seamless medical care but to help preserve the client’s confidence in the practice. You would not believe the difference when the techs have all the needed tools ready for the relief vet. I’ve had to get adept at rifling through drawers and cabinets looking for whatever piece of equipment I need while listening to the client and trying to maintain eye contact. This awkward scenario can be avoided with a small amount of staff preparation. Have the assistants or nurses prepare the room for whatever type of appointment. For instance, if it’s an appointment to check ears, have the otoscope, fresh cones, cotton swabs and slides on the counter. You get the idea. This kind of preparation saves time and gives the right impression of organization and competence. Encourage clients to bring in their sick (or well) pets as work-in appointments rather than having them wait to see the primary vet. The pets will be cared for sooner, the clients will greatly appreciate having any problems addressed quickly and the relief vet will be productive for your practice. Find out if your relief vet has special skills like dentistry, ultrasound or surgery and then schedule those types of appointments for them. Utilizing their expertise on relief days will keep a high standard of patient care and the appointment books full. All these suggestions are simple, but when you add them up, they make a monumental difference in clinic productivity and client experience. And that means better retention, better revenues, and on down the line. Reach out to a relief vet because you do deserve a break today. VetPartners member Dr. Cindy Trice is the founder of Relief Rover.